Axle for braked trailers. Maximum GVW is 1500 kg. 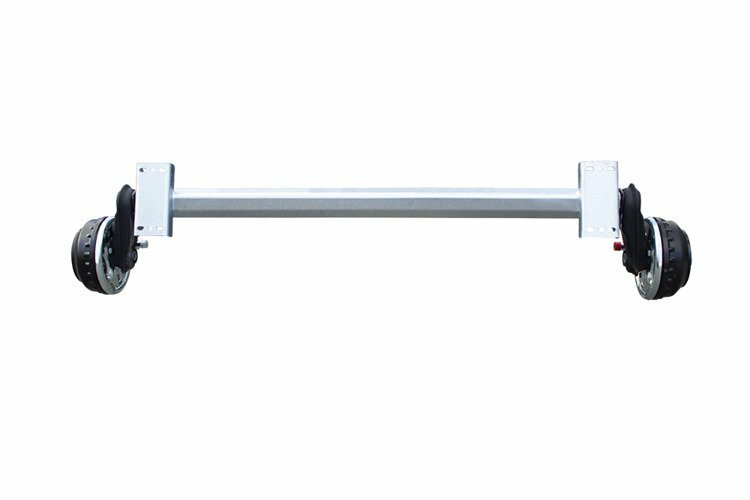 Axle mounting distance is 1200 mm. Bolts spacing 5x112. Hub spacing : 1750 mm. The device has rubber torsion bars. Mounting screw set inclouded. 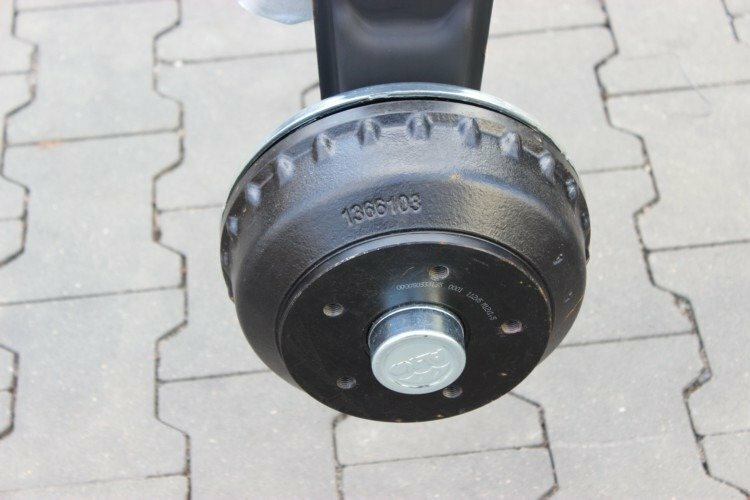 Axle for heavy trailers and boat trailers.